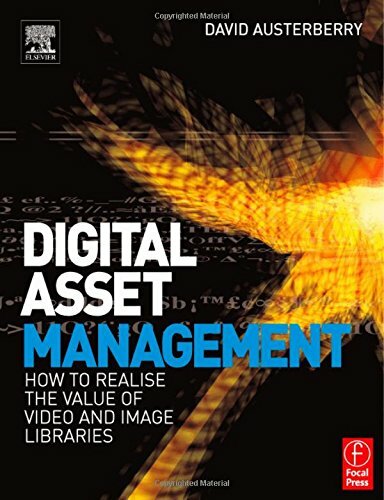 [PDF] Digital Asset Management | Free eBooks Download - EBOOKEE! Description: Content and media asset management systems are core back office applications of the modern day broadcaster, yet there is little information available on the control and management of these systems and how content can be delivered over a variety of different channels: television, iTV, internet, webcasting, mobile phones and wireless PDAs. This book explains the potential for applying asset management systems to content creation models for distribution over a variety of outlets and the benefits gained from increased efficiency and lowering of costs. Taking an unbiased view and focusing on core principles rather than specific systems, David Austerberry presents the business case for digital asset management systems, demystifies some assumptions regarding the technology and provides a thorough introduction to the system components required, such as indexing, searching, middleware, database and rightsmanagement and web portals. No comments for "[PDF] Digital Asset Management".